… while I do love being my age – I truly enjoy being with people who are not my age. Older. Younger. It just makes for a richer life. And my days are generally spent with 20-something year olds, and my evenings are filled with my favorite 70-something year old. The wisdom I get daily from my therapist husband is priceless. I especially love it (in a weird sort of way) when I come home and tell him the “advice” I’ve dished out to a hurting young woman and he quickly assures me that the counsel I offered was totally off base. I often hear: “I can’t believe you said that!” It really is a good thing that love covers a multitude of bad advice. It is also quite humbling and honoring to be brought into their struggles. But it really is true. Let us not become weary in doing good, for at the proper time you will reap a harvest if you do not give up. I don’t think the “harvest” that Paul is referring to is automatic for any human—at any age. Do you see it? Let US not become weary in doing good! I find it truly sad that most people indeed do become weary in doing what is right and good and do give up. I recently read a book on aging – and his statistics on “finishing well” wasn’t pretty. Life really is hard. And, that’s what I think 20-something year olds, in this first world country, haven’t figured out, because I think they were raised in a time when life was easy. Some (surely not all, and I am indeed stereotyping and taking lots of liberties) think its supposed to be easy – having every modern convenience known to mankind. I think often our “first world problems” resemble the likes of a hang nail rather than some debilitating illness – and yet our first world problems of depression, anxiety and discontentment have proven to be truly debilitating. So, do I have an answer? No. I do it too! When I come to the end of a day that has been spent on the frivolous and self-indulgent I plop in bed worn out and totally discouraged. But at the end of a day that I have practiced self control, there is shear contentment. True peace of heart, then, is found in resisting passions, not in satisfying them. I think our young, restless, reformed generation has taken our “freedom” in Christ to a whole new level – and that level seems to be producing depressed and anxious humans. We have become Qohelet—he’s the writer of Ecclesiastes—and one totally-depressed-self-indulgent-has-it-all guy. See why I’m looking forward to my 8th decade? It’s probably a good thing I wasn’t thinking clearly at 23 – but reflecting back on those early days of a new husband, new God, new town – I do see (now) how God was working all things for his purposes – and the main purpose surely was that I needed to mature greatly in my faith, and learning the language of thankfulness was a valuable lesson in that maturing (yes, I still feel very immature most of the time). And, of course there was a big plus in those early days – not running from the struggle has its benefits – for I (now) love Tom’s children. The practice of gratitude continues. In the Spring of 2012, after reading portions of the book One Thousand Gifts, I started my own year long project of listing the things I am thankful for. What a glorious idea – one that probably should be practiced yearly – and if I never do it again, I am most grateful for that year – March 2012 to March 2013. The very first one is: my rescue. That’s how I see my salvation. Being rescued – miraculously – from myself and from my choices – it was a true deliverance in many many ways. And I hope not a day goes by that I don’t thank God for my rescue. Another is, that sort of personality that can dance in the furnaces of life – I’m drawn to those types – unflappable, other-focused people – so so attractive in my opinion. And another … feeling the love of God. I am truly saddened when I hear a woman tell me that she’s never felt the love of God – she knows it but has never felt it. This is one of my favorite feelings – sensing with all my senses his love. Another … is being thankful for God’s economy – that economy where everything is redeemable. Nothing is beyond his grasp. Nothing is too messy. Beauty-for-ashes-economy. Another … the weekly Sabbath – the market day of the soul. After reading Abraham Heschel’s Sabbath my mindset started to change with notions like … no complaining on the Sabbath, and don’t even think about painting the fence (much less doing it) … no repenting (not sure how biblical that is, but it does sound freeing!) – and we are called the other six days to work on our character – so perhaps we need to leave the Sabbath to a day to truly rest – even from our neurotic, anxiety ridden thoughts. Another … which seemed to fill pages of my personal thousand … the most loving and gentle man on the earth for a husband. Proverbs 15:15 says “a cheerful heart has a continual feast” … it’s true. It wasn’t long after marrying the man of my dreams – that I was a disgruntled weepy mess. The man I begged God for – the man I thought could satisfy all my emotional needs – the man—if I just had even one night a week—I’d be happy. 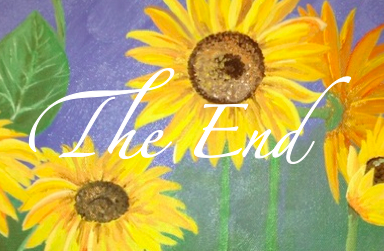 Amazing how quickly becoming a disgruntled weepy mess can happen – and for me it was quick. I married Tom 11 months after our first date – and moved from my beloved town of Atlanta – I think I’m the only one in the world who actually loves that town – and moved to the Midwest town of St. Louis to live with my husband and his three children. Tommy was 21, just 2 years younger than me, Parks was 17, and Sarah was 13. And after about 4 days of bliss my new husband went out of town on business for 10 days. Thirty years later I am still regretting the decision of not going with him. What was I thinking?? Could have had an extended honeymoon. Three step children who were closer in age to me than I was to my husband. It wasn’t long before discontentment and anger took root. I remember times of picking Tom up at the airport and before we left the parking decks I would insist he read the letter I had written while he was away. A letter written in total anger. As I reflect – I cannot remember what I wrote, I just remember the emotion behind the writing. I was miserable. I would call my mother who lived over 500 miles away – and cry into the phone. I was a very young Christian at that time, and wanted very much to do life God’s way – but not sure what that actually looked like. And listening to my mother assure me that God would never give me more than I could handle – was not so reassuring. I was definitely not handling life well as a newlywed. – Pause – just so you can feel my weepy, angsty self of 30 years ago. During this time my mother sent me a book by Catherine Marshall, Something More. She sent me lots of books back then, and I read every one with anticipation and an expectation of some sort of relief. Something More was a good choice for that time. I felt I had an empathizer in Catherine. There was a section in her book about her step-daughter – and it was obvious Catherine struggled in the relationship. But that wasn’t what brought me relief. It was when Catherine wrote about giving thanks to God for the smallest of things – especially those times when you can’t think of ANYTHING to truly be thankful for. I remember her thanking God for something to do with a mailbox. Crazy stuff. Really really small stuff. Actually, that didn’t bring me relief either. At least not in that moment of reading her. So, I began trying this gratitude exercise. That still didn’t bring relief – yet. It went something like this – in my nighttime prayers while trying to drift off to sleep … Thank you God that it is quiet at 10:00 at night and Tommy is not playing his bass guitar and the neighbors aren’t complaining at this moment. Thank you God that Tom is home tonight and not traveling. I’m pretty sure that even my gratitude had an undercurrent of ingratitude in it. I woke up giggling in my sleep. I don’t think I’d giggled in a couple weeks. But here I was … giggling … and content, as if the weight of marriage with three stepchildren and two cats in the home (I hate cats) had dissolved into joy. Not just contentment but sheer giggling joy. That night in my sleep and that day prior in my reading of Something More, has been a defining moment in my life – and a lesson that I practice every day of my life – Thanking God in all circumstances.